All you need to know about Nostradamus! Perhaps the most notorious of European soothsayers is the 16th-century French apothecary, Michel de Nostredame, better known by his Latinized name, Nostradamus. His famed Prophecies purportedly predicted pivotal and tragic events in Europe and America such as World War II, Princess Diana’s death, and the 9/11 destruction of the World Trade Center Towers (nobody claims they predicted any events in Asia or Africa, as far as I know). Lately they have been applied to 2012. He composed his prophecies over eleven years for an annual Almanac that he first published in 1550. (This tradition continues, in such publications as the Old Farmer’s Almanac, whose long-range weather predictions are reputed to be better than the US Weather Service’s.) He selected about a thousand of these to re-cast as 4-line rhymed poems (called quatrains), and they were published in many editions. Due to the casual standards of 16th and 17th-century typesetters, no two copies are exactly alike. Most English translations are based on later, increasingly corrupted, copies of copies. Very few versions of his prophecies can be trusted. But the worst of it is, his own obscurantist compositions are impossible to pin down. Peter Lemesurier’s excellent Nostradamus website <http://www.nostradamus-repository.org/> contains careful English translations from sources as-original-as-possible, and also includes the original French versions, so you can translate and decide for yourself. Lemesurier also answers a few Nostradmic Myths and Frequently-Asked-Questions. I recommend particularly his FAQ’s regarding Nostradamus and 9/11. < http://www.nostradamus-repository.org/index.php?option=com_content&view=article&id=32:911-attacks-and-nyc&catid=7:terror-related&Itemid=6 >. The misunderstandings, mistranslations, Procrustean interpretations, and deliberate fabrications addressed here epitomize what we might term the two “Nostradamus Problems”. These Problems lie chiefly with (1) the source and (2) the recipient. The first : He was a master Oracle: he couched his “prophecies” in universally-interpretable language, phrased so that one could read anything into them. The second: Our proclivity for projecting our own fantasies and fears thereon. Q. What about “In the year of the new century and nine months, from the sky will come a great king of terror…the sky will burn at 45 degrees. Fire approaches the great new city…In the city of york there will be great collapse, twin brothers. Torn apart by chaos while the fortresses fall, the great leader will succumb; the third big war will come when the big city is burning.”? Line 3 is in fact based on a French expression (‘faire la guerre aux rochers’ — ‘to make war on the rocks’) which in fact means ‘to struggle fruitlessly’. ‘Deux grands‘ means ‘two nobles’. The First Problem: Nostradamus follows a venerable tradition established by successful Soothsayers, Sibyls and Prophets thousands of years ago. This involves phrasing one’s prophecies ambiguously. The Oracle at Delphi, for example, routinely intoned such gems as this one, delivered to Croesus: “If you attack Persia, a great empire will be destroyed.” A prediction guaranteed to succeed, no matter who won, eh? For a clear demonstration of this, collect the twelve horoscopes from any daily newspaper. Don’t read it. Have a trusted (and tolerant) friend cut the dates off the horoscopes, and secretly make a Key, linking which dates go with which predictions. (To be truly double-blind, the friend must seal the Key in an envelope, hand the slips of paper to a third friend, who has not seen the originals, and that friend should deliver the shorn horoscopes to you.) Then you decide which horoscope applies to you. Then unseal the Key and check your guess. Record your results. No cheating! Do this a few dozen times. I guarantee, I prophesy, that you will be right 8.333% of the time. More or less. This is because horoscope texts are full of generalized characterizations, adjectives and adverbs that tend to describe everyone. Everyone. You can devise similar ways to test the more complex, more specific —and more expensive— personal horoscopes, delivered by professional astrologers. The other Problem: we all tend to be narcissists. In art-history classes, I remind my students that we respond most strongly to works of art that are “mirrors”, pictures (usually) in which we recognize some aspect of ourselves. Prophecies are works of art, if nothing else, and we always see ourselves there. Simple as that. We also instinctively seek connections and patterns, and we are such complex, multi-faceted characters that there exist few characterizations that do *not* apply to us. We usually consider the test of a prophecy to be whether it comes true. I propose a more rigorous test: can it help us make better choices? If Caesar had listened to that guy who told him, “Beware the Ides of March” and stayed home, he might have become Rome’s first Emperor. But he didn’t. They never do. Not believing our prophets is so common as to be a cliché. The Ancient Greeks personify this penchant in the unhearkened prophetess Cassandra. Nostradamus was, at best, a Cassandra. None, I repeat, *None* of Nostradamus’s prophecies have helped *anyone* avert, avoid, or mitigate a disaster. What good is a prophecy that no-one can use beforehand? I assert that a “prophecy” that helps no-one, is no prophecy at all. This is also true for 2012. Aside from selling us nuke-proof bunkers stocked with water-purifiers and freeze-dried food, the millions of 2012-prophecy websites don’t really offer us any advice on what to *do* about it. How do we surf this wave, instead of drowning in it? Those few who offer it, advise you to Clean Up Your Act, Forgive and Forget, Get Right With God, Set Your Sights On Higher Matters, and Open Yourself To Opportunity. These are good suggestions. So good, I think I’ll not wait till 2012. So good, some people have been living them for years already. We should implement them even if nothing happens in 2012, no? By the way, has anyone noticed that Nostradamus was born either 14th or 21st December, 1503? If the latter, then the 2012 Period-Ending would fall precisely on his 509th birthday. 509 is a prime number! There is even a parallel in the date-uncertainty, because some scholars fix the Great Maya Period-Ending on 21st December, and others the 23rd! Could all this be a coincidence? 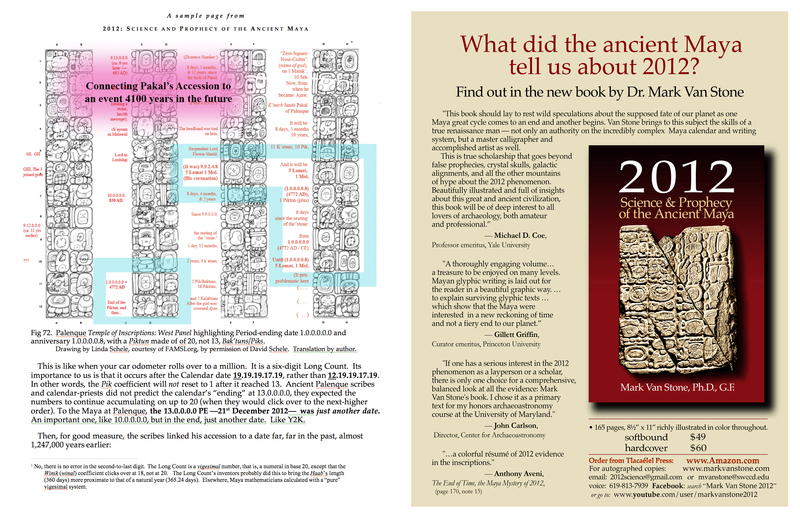 My book, “2012: Science and Prophecy of the Ancient Maya” is almost ready, and will be ready for upload before the end of the year… Stay tuned! Whoever said “Well begun is half done” was thinking of someone like me. Except my grasshopper-mind offers such monumental impediments to getting started on large projects, that my version is more like, “Well begun is about 85.714286% done.” First impressions being so important, I’ve been dithering for days about the topic of my very first blog. I finally overcame the inertia with the comforting thought that only about six people in the world will read this, and three are family. You, dear Reader, are in very select company. The first, the most specific: What did the Maya say to make us think that 2012 was the end of the world, or something? And second, more generally: Why are people attracted to Apocalyptic prognostications like this? I think it springs from Christian ideology, coupled with a sense of helplessness and frustration. The former permeates our culture, religious and secular. 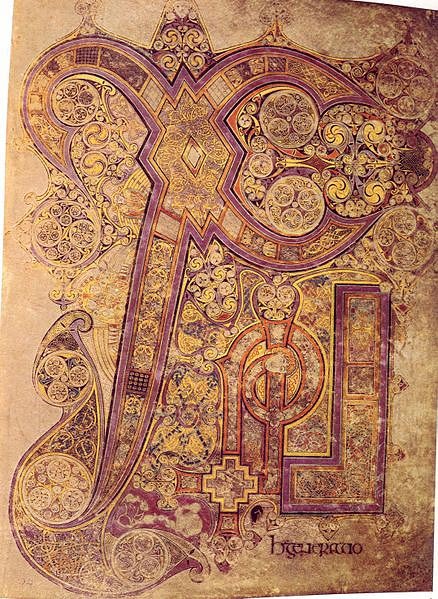 Like our ubiquitous year-calendar, the visions of Revelation color all our thinking. Whether we be skeptic or Mennonite, these Apocalyptic visions resonate with us; they are saturate so deeply into our mental landscape we hardly ever notice them. We almost never consider what the world would be like, if as, say, in ancient Greece, we had no concept of End-Times. Since Nero’s pogroms in 64 AD, Christians have been comforted by the notion that This World is not the one that counts. We shall be rewarded in the afterlife, if not in direct proportion to our suffering in this one, at least by eternal happiness. (Or, in some circles, 72 virgins.) Most apocalyptic prophecies embody this idea: at least a chosen few will be saved to start afresh in a cleansed world, or carried off in a silver spaceship, or perhaps we all shall be initiated into a Galactic Brotherhood. This comforts us, since we cannot escape tribulation, neither here and now, nor in a coming Deluge. What is particularly frustrating to most of us is that WE can see the train wreck coming, and are helpless to stop it. From strip-mining forests to overfishing to bovine streroids to selling weapons to rogue states, we are aghast at stupid, stupid choices by powerful people. Those with their hands on our world’s steering wheel, and their feet tromping the throttle, are impervious to our cries of warning. We are riding in a taxicab whose driver is drunk, crazy, heedless. Despair seems our only option. Who wouldn’t welcome this Deus ex machina? I wish I could. But I happen to believe that, if there are Creator Gods watching over us, they designed us to solve our own problems. They’re not about to step in and clean up our mess, like Noah’s Flood or the Popol Vuh destructions. Not this time. 1. The Maya had several calendars, as we do. Most are cyclical, again like ours. 2. Their uncyclical calendar, the Maya Long Count, counts time from a specified “zero date”, like our A.D. year-count. 4. While the Christian/Common beginning date was “1 AD / 1 CE”, we write the Maya “Era Date” as 13.0.0.0.0 4 Ajaw 8 Kumk’u. They, of course, wrote it in their sublime hieroglyphs; our version is only a crude, convenient echo. They sometimes abbreviated the date to “End of the 13th Pik,” or, more usually, “4 Ajaw 8 Kumk’u”. Don’t worry what all the Maya terms mean; I’ll explain them on a need-to-know basis. We call this latter abbreviated date a Calendar Round, or CR. 5. Like a clock just after midnight going to 12:01, then on to 1:00, the Maya Long Count apparently began this Creation at 13.0.0.0.1, then 13.0.0.0.2, and on up, but reset to 1.0.0.0.0 instead of 14.0.0.0.0. 6. The Maya and Aztec myths of Creation both describe several iterations of this world. We are in the fourth Creation, according to the Maya Popol Vuh (the most complete surviving Maya Creation mythology). But we are in the fifth Creation, according to the Aztec Leyenda de los Soles (“Legend of the Suns”: the Aztecs called each Creation a “sun”). Each of the previous Creations ended with annihilation of the population, of the sun and moon, perhaps of Time itself. This implies that they believed this World, too, —our world— was destined to end sometime. 7a.Specifically, the day-name of each Sun foretold the method of its destruction: at the end of the 4-Jaguar Sun, its population was devoured by jaguars. The 4-Water Sun ended in a massive flood. And our Creation, the 4-Earthquake Sun, will end … you can guess. The Mesoamerican calendar was more than a mere method to track Time; it was Destiny. 8a. Also, the Maya Long Count’s begin-date suggests a Creation cycle of 13 Pik (a Pik is 20 x 20 Maya ‘years’ of 360 days), which, perhaps, transformed into the Aztec 13 x 52-year cycle. Another feature distorted in translation. Unfortunately, the Popol Vuh, which details the four Maya Creations, neglects to date any of its events. Combining these three stories, the Maya Creation date with the Aztec and Maya Creation cycles, modern scholars —and others— have deduced the foundation of the 2012 “end date”. This is everything we know. All the rest of the kerfuffle is extrapolation, imagination, wishful thinking. For a small fee, I will send you a link to download a digital copy of my 170-page book 2012: Science and Prophecy of the Ancient Maya. For a larger fee, you can order a printed copy. (The book comprises mostly material from the FAMSI website, but in a much more user-friendly format. At this writing, the book is still in press, but will be available soon, soon!) Order by writing me at mvanstone@swccd.edu . Please direct comments, questions, reflections, raves, or rants to the same e-dress. Note: By the way, Nero’s persecutions, which first popularized feeding Christians to lions, led to his characterization as the Antichrist. I read somewhere that his name, rendered in Greek letters (which are also Greek numerals, from 1 – 700), added up to 666. However, when I sought confirmation of this by Googling “666 Nero Beast”, I found several candidates for names with numerological values added up to 666 (including “the Romans”), but Nero’s wasn’t among them. So I added up the letter-values for NERON KAISAR, his usual moniker in Greek, and they only reached 487. His full name, Nero Claudius Caesar Augustus Germanicus, has a value far in excess of 666. How anticlimactic.